About 5 years ago my grandma died & I kinda lost my mind. I spent the next couple of years traveling the country in a haze doing music & comic book stuff. Whatever city I ended up in I’d try to find a local comic shop & dive into their cheap bin & flip through the nostalgia. Occasionally I’d buy some stuff, but I’d very rarely end up finding the energy to actually read them, so I have what feels like an infinite read stack. I picked up the first two issues of From The Desk of Warren Ellis I believe at a con in Fort Wayne, but it could’ve been at a con in rural Ohio. Anyway, I assumed they were collections of short comics, 4 page fillers from early in his career & such, but I read this last night & it ends up they are collections of his blog entries from the 1990s. Thoughts on current events & career struggles that are often just as valid today as 20 years ago. Interestingly enough to me, the entries don’t seem to have gone through a grammar checker or editor before being re-published & I’m fine with that; I feel like it makes the experience more human & immediate. So the whole experience of reading them last night was really inspirational to me. It made me want to start doing the blog again not because it might matter to someone or people might read it; but because I realize if I want to start actually working on things I care about again in a meaningful way, I need to start practice the craft of writing more. So here we are, my first entry of the year & I plan to start posting more than I have in years. I get that people aren’t likely to read every entry & I don’t really expect them too. I’m just trying to force myself to get back in a groove where I can write at the level I used to feel I was capable of again. Because one of the worst things about feeling you’ve done good work is feeling like there’s no reason to do non-good work & falling into the dread of never doing anything good again. So I’m getting ready. I’m going to try to start doing good work again & the start is working at it every day, forcing myself to have the extra few minutes. I feel pretty sure it will make me a happier & better person. So if you came across this entry simply looking for a review of this comic, it’s not a comic but it may inspire you to start working on one & what more can you ask for? 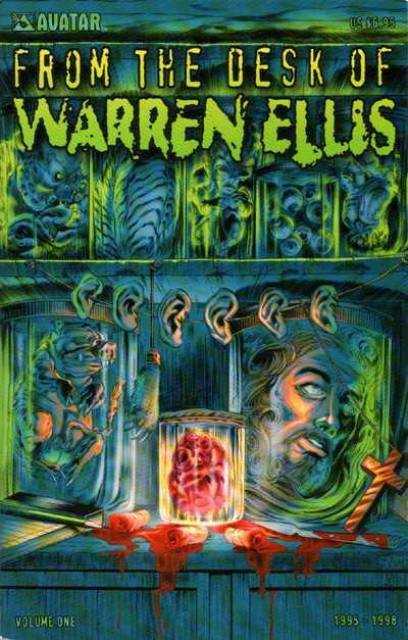 This entry was posted in comics, finally checking it out, reviews and tagged comics, Finally Checking It Out, reviews, warren ellis. Bookmark the permalink.